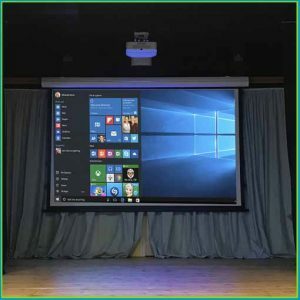 When choosing a projector for your school, you may be faced with a decision, should you purchase a short throw projector or one that is mounted from the ceiling? 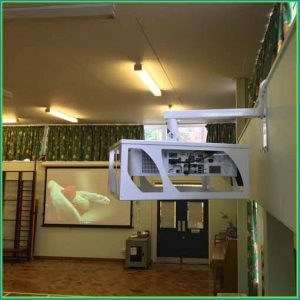 We offer brand leading projectors of both types and would suggest the best option to go for would be the short throw option as there is less shadowing on the whiteboard and glare in the teachers eyes. However if your option (or choice) is to have a projector installed from your ceiling the best option in this case is to purchase a laser and LED hybrid light source projector, such as a Casio. Interactive projectors are another popular choice. These projectors essentially mimic the function of an interactive whiteboard on any surface where the image if projected. This allows the presenter to interact with the projected image using a stylus or often simply a finger.